Happy Thursday and Happy Hip Hop!!!!! 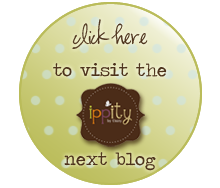 If you didn't start out at the Unity Stamp Blog head on over there, so you don't miss out on anything! I sure have been having a whirlwind week. SUPER BUSY is an understatement....hehehe, but it has been a very creative happy BUSY week. So many amazing things happening and happened, and it's one of those weeks when I am so grateful for so many things. So with that said, this project came very easy for me and I am happy to share with you today. Our theme for the day is Thanksgiving decorations. So, the first thing that came to my mind is my trusty pumpkins I made ohhh...about 2 years ago, when I saw them the first time. Now then I didn't have my Silhouette, so today's pumpkin was cut with my Silhouette. Although this one took gluing and the other one didn't, but I think this one is prettier. I guess, I let you decide..hehehe. I used our Ippity Fall for You set leaves and the Happy stamp (which I love, love, love) came from the House a Home set. The Thanksgiving sticker is Samantha Walker's sticker and the label that holds all my stamps is one of her Silhouette designs, too, which is sooo pretty. It's a label frame. I also used her papers from her Thankgiving paper lines by Creative Imaginations. I made my rolled flower out of it, too. Hope you like it.